Dressing her cat as a gangster, laughing uncontrollably at things, pretending to be a vegetarian to impress the new boy in class, finding goats funny... welcome to the world of Sam Wallis. While this is a funny novel, there is a serious side too. Sam is bullied online by a girl in her class at school who is jealous of her, the bullying continues until the bully goes just one step too far, when Sam’s friend Lucy (who has cerebral palsy) also becomes her target. 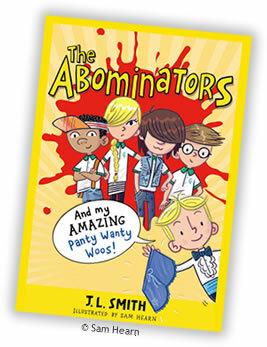 By showing cyber-bullying happening to a central, very likeable character like Sam, the book encourages girls to see that the problem is always with the bully, NOT the bullied. 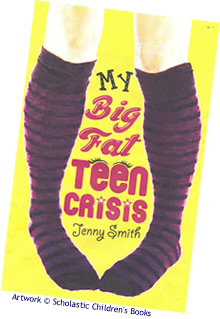 You can order My Big Fat Teen Crisis on Amazon. Click here to place your order. "Hilarious, touching and wonderfully original"
You can order Diary of a Parent Trainer right now on Amazon. Click here to place your order.